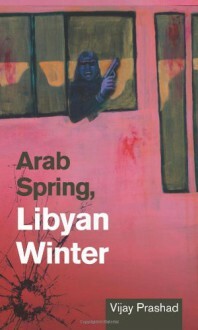 The Arab Spring captivated the planet. Mass action overthrew Tunisia’s Ben Ali and Egypt’s Hosni Mubarak. The revolutionary wave spread to the far corners of the Arab world, from Morocco to Bahrain. It seemed as if all the authoritarian states would finally be freed, even those of the Arabian Peninsula. People’s power had produced this wave, and continued to ride it out. In Libya, though, the new world order had different ideas. Social forces opposed to Muammar Qaddafi had begun to rebel, but they were weak. In came the French and the United States, with promises of glory. A deal followed with the Saudis, who then sent in their own forces to cut down the Bahraini revolution, and NATO began its assault, ushering in a Libyan Winter that cast its shadow over the Arab Spring. This brief, timely analysis situates the assault on Libya in the context of the winds of revolt that swept through the Middle East in the Spring of 2011. Vijay Prashad explores the recent history of the Qaddafi regime, the social forces who opposed him, and the role of the United Nations, NATO, and the rest of the world's superpowers in the bloody civil war that ensued. Vijay Prashad is the George and Martha Kellner Chair of South Asian History, and professor and director of international studies at Trinity College in Hartford, Connecticut. He is the author or editor of over a dozen books, including Karma of Brown Folk and, most recently, The Darker Nations: A People’s History of the Third World.